With the heat and summertime in full swing, that means more time outside enjoying nature or being near the water. But, the downside is that this time of year brings the increased risk of mosquitoes and ticks. Outside of the aggravation of itchy bites or having to pull off a parasite, there are a number of insect-borne diseases that can be cause for concern if not identified and treated properly. At Insight Pest Solutions, we wanted to take a look at some of the most recent data around cases of insect-borne diseases. In particular, we wanted to look at statistics around Lyme Disease, the Zika Virus, Rocky Mountain Spotted Fever, and West Nile Virus. Specifically, we wanted to see how the frequency of cases differentiated across the United States. Using data from the Center for Disease Control and the American Lyme Disease Foundation, we were able to find the most recent statistics around exact number of cases reported in each state for each specific disease. Lyme Disease is the most commonly reported insect-borne disease that we looked at. It’s caused by ticks and the early warning signs include the classic ‘bullseye’ rash along with fever, headaches, muscle and joint aches, and swollen lymph nodes. The northern states and the New England area in particular had some of the highest number of cases. Pennsylvania had the highest at over 7,000. New Jersey and New York were second and third, respectively, with over 3,000 reported cases. 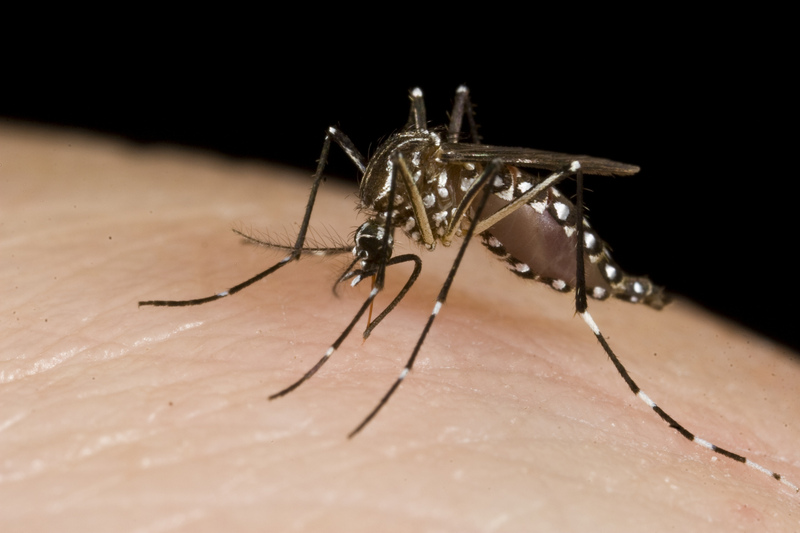 The second most common insect-borne disease out of the four is West Nile Virus. According to the CDC, between 70-80% of people infected do not show symptoms. Those who do often get a fever along with headaches, joint aches, body aches, a rash, vomiting, and diarrhea. Those 60 years or old are at greater risk from the disease. The disease, carried by mosquitos, is most reported in California with a bit over 400 reported cases, according to the most recent data. Texas was the next highest at just over 350 cases. Rocky Mountain Spotted Fever is carried by ticks and is the third most common out of the group. The early signs and symptoms are fever, headache, rash, nausea, vomiting, stomach pain, muscle pain, and lack of appetite. The disease can be deadly if not treated properly. North Carolina has the highest number of reported cases with over 500. Oklahoma and Arkansas are second and third with just shy of 200 reported cases. Zika Virus has been a hot topic in the news over the last few years, mostly because of the heartbreaking effects on pregnant women and their babies. However, it is the least reported out of the four diseases we researched. According to the latest report, there were only 121 reported cases in the United States. The CDC says that many people do not develop signs or symptoms from the disease. There is no specific medicine for Zika, but a blood or urine test can confirm diagnosis. Insects can carry harmful diseases, specifically mosquitos and ticks. This map looks at some of the most common insect-borne diseases and the reported cases in each state from the most recent data available. During the summer, it is important to be mindful of bites with the seasonal increases in population. If you develop symptoms after a bite, be sure to seek medical assistance immediately. « What Are The Most Common Insects in Boston?